In the McJordan household, we eat both coconut and sheep's milk yogurt and sometimes goat too. We don't do cow dairy yogurt because it doesn't agree with me (makes me puffy and constipated) and Walker doesn't really care either way. Although, truth be told when we first started dating he was all about the Greek yogurt and after hanging out with me most of the time he stopped eating as much dairy and guess what? His digestion dramatically improved (no more farting). In fact, we have a fart-free household, lol. Well, maybe sometimes Vienna toots but it's not because she's eating Greek yogurt or slurping on cow's milk -- those are foods we just don't buy. Once in a while, I do buy grass-fed yogurt but more often than not we have the other options I just mentioned. Farting aside, coconut yogurt is not expensive so I often buy it, but lately, I've been making it from scratch because it's a little bit cheaper than buying it every week and it's incredibly delicious. You'll love how easy coconut yogurt is to make and when you watch my video you'll see exactly what I mean. 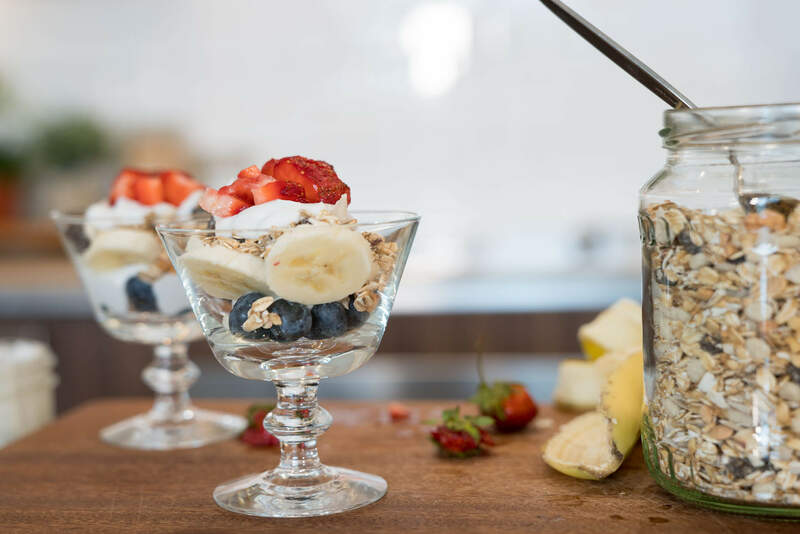 Based on the recent news about coconut oil you may be hesitant to make this yogurt, but rest-assured coconut products are incredibly healthy and can be part of a well-balanced diet. Even though coconut oil and this yogurt are higher in saturated fat, the large majority of it comes from medium chain fatty acids which are proven to be beneficial for weight management, may reduce the risk of atherosclerosis and boost immunity. A building block of every cell in your body, part of the cellular membrane, provides structure and support. Supports bone health because saturated fat is needed to direct calcium into bone. Critical for the absorption of fat-soluble vitamins like vitamins A, D, E and K.
Needed for the conversion of beta-carotene to vitamin A. An essential nutrient for cancer prevention, skin and eye health. Keeps your immune system robust and healthy. In fact, a lack of saturated fatty acids in white blood cells hampers their ability to recognize and destroy foreign invaders, such as bacteria, and viruses. Essential for brain health because it is a fundamental building block in brain health. In fact, a Mayo Clinic study found that those individuals consuming the most saturated fat experienced a 36% reduction in risk for developing dementia. And this comes on the heels of data now indicating that saturated fat consumption has absolutely no relevance in the area of cardiovascular risk as recently described by Dr. Glen Lawrence in the journal, Advances in Nutrition. And isn't it interesting to note that one of the richest sources of saturated fat in nature is mama milk! Which is why breastfeeding is incredibly important. Okay now that we got that out of the way, let's get to this recipe shall we? 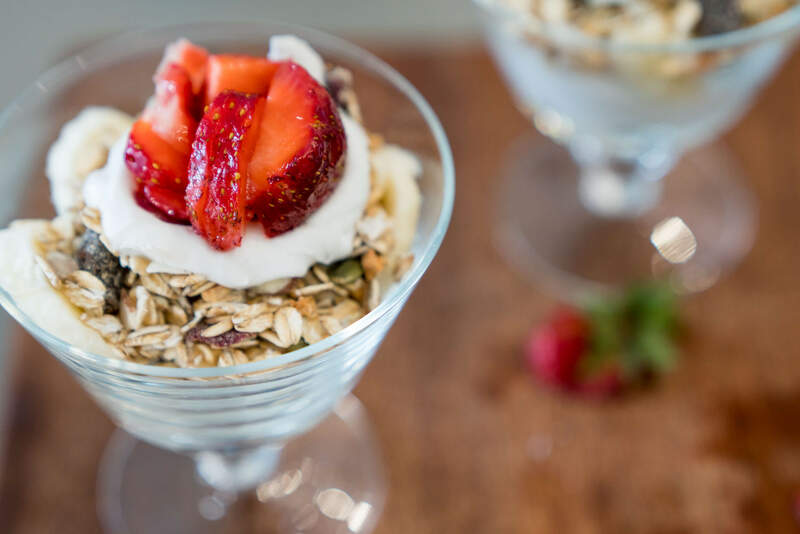 Then you can make my delicious Coconut Yogurt Parfait recipe from Joyous Detox! Refrigerate coconut milk cans overnight to allow time for the cream to separate from the coconut water. Scoop coconut cream from can and place in a clean bowl. Let warm up to room temperature to make it easier to mix in the probiotics. Crack open each probiotic for a total of 60 billion bacteria into the coconut cream and combine. Cover bowl with plastic wrap and store overnight or for 12 hours in a warm environment like inside your oven. Remember it's in there and do not use your oven! The next day, mix the yogurt with a spoon, it should be nice and creamy and smell tangy/sour just like yogurt. If it smells funky or the colour is off, discard the yogurt. Place in a clean jar and refrigerate for up to 7-10 days. If using, the vanilla and maple syrup can be added after 12 hours. Just make sure you use organic canned full-fat coconut milk because this recipe will not work with liquid coconut milk in a carton and might not work with homemade coconut milk either if you don't have enough of the fatty cream. I LOVE Cha's Organic Coconut Milk because the flavour is incredibly rich and it's free from additives. If you live in the U.S and can't find Cha's, I also like Native Forest. Slurp it with a spoon! 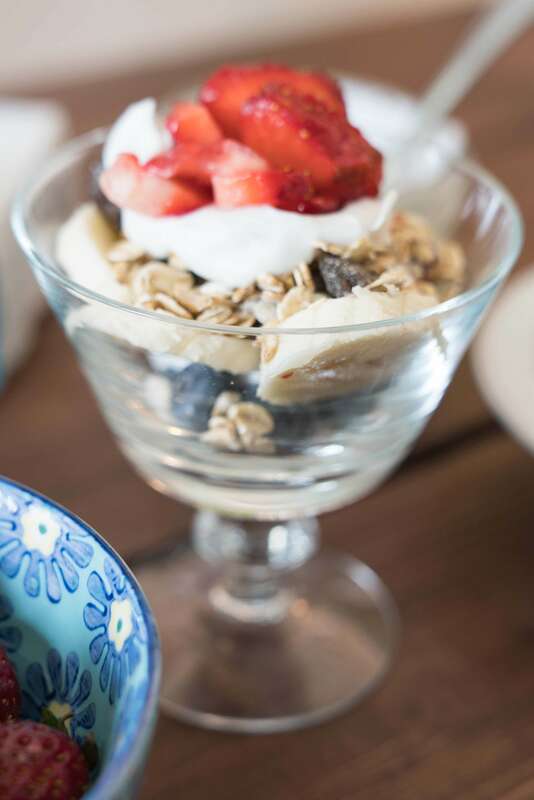 Make my Coconut Yogurt Parfait from Joyous Detox on page 10. Toss it in a smoothie. This smoothie would be perfect with the addition of this yogurt. Can't eat avocados? This yogurt is the perfect replacement especially in smoothies for a creamy consistency like this smoothie. If you find it's too sour or tangy for you, just add some raw honey, maple syrup or vanilla before you eat it. The probiotics I used to make this coconut yogurt are Genuine Health's Advanced Gut Health probiotic. 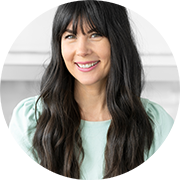 As I mentioned in my video, it's a multi-strain probiotic which mimics the gut flora -- you don't have just one type of bacteria living in your gut. You have hundreds of species! But you already know all about that right? You can read more about this probiotic plus the difference between prebiotics and probiotics and why we need both. 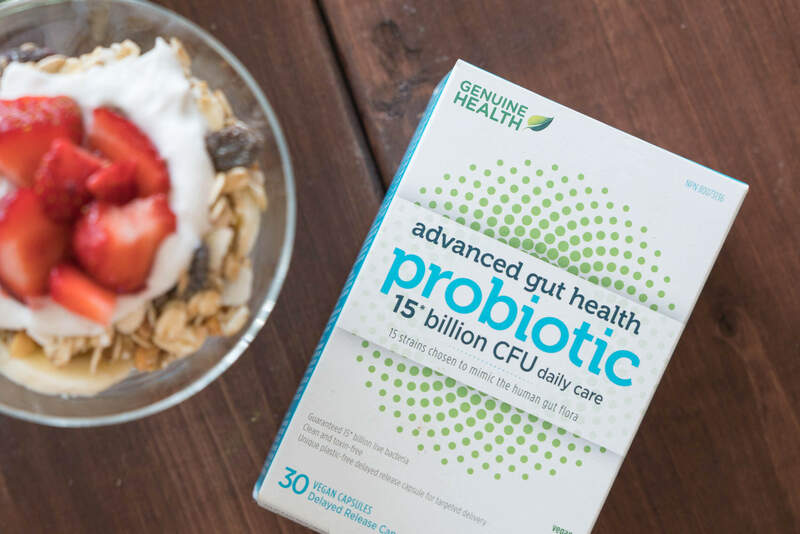 Genuine Health's probiotic can be found at health food stores across Canada, on Amazon and even at some grocery stores. Good digestion and elimination (preventing constipation). Mood and mental health. In fact, a healthy gut can even improve your immune system. Immune system health and more. I'm excited to hear what you think of this wonderful recipe! Be sure to share in the comments section below. Can you make this in a yogurt maker too? The first ingredient says "full fat coconut yogurt" ...do you mean coconut milk? Hi Joy, I have been buying coconut milk kefir (it's rather costly) - I was on antibiotics recently and am working on rebuilding my gut flora. Your recipe sounds so easy and I'm going to try it. Question; do I still need to take my daily probiotic if I am eating this yogourt daily? Hi Joy - Can you use any probiotic? I have some capsules in the fridge at home already that I take daily. Thanks! I think it's supposed to say 4 cans of milk not yogurt ;-) on the ingredients list. Looks and sounds delicious! What can you do with the coconut water that you separate from the cream? Thanks! I think that there might be a typo in your recipe.You have 2 cans of coconut yogurt but in the video you have two cans of coconut milk. Thank you for the yummy recipe :). I have another brand of probiotic capsules, can I use them? Or does it have to be the one you mentioned? Can't wait to try this! Can you use full fat coconut cream instead of coconut milk and get the same result? Hey Joy, just wanted to confirm that any other probiotics are OK to use correct? For example Genestra HMF? Joy I love your videos and all your lovely knowledge you pass on to us. I have a question as to how I can take off the bottom bar of your site where it has the pinterest, facebook and twitter icons. I can only see about 3 inches of your video because the top bar and bottom bars take up to much screen. Is there some way to do this. As I am only 1 person, how long does the yogurt stay good in the refrigerator? Hey ladies! Just chiming in here, it is good for 7-10 days in the fridge. After making the coconut yogurt, can I use it as a starter and just add more milk to it to make more? And if so, how long should I wait for that process? Sorry to hear it was a flop. That's super strange because the full fat cream of the coconut milk is super thick so it should maintain some of it's consistency and then will get thicker in the fridge. I would suggest just using it for a smoothie and trying again another day! Also, use the brands I suggested, that might make a difference too! You should use 2 cans instead of 1. 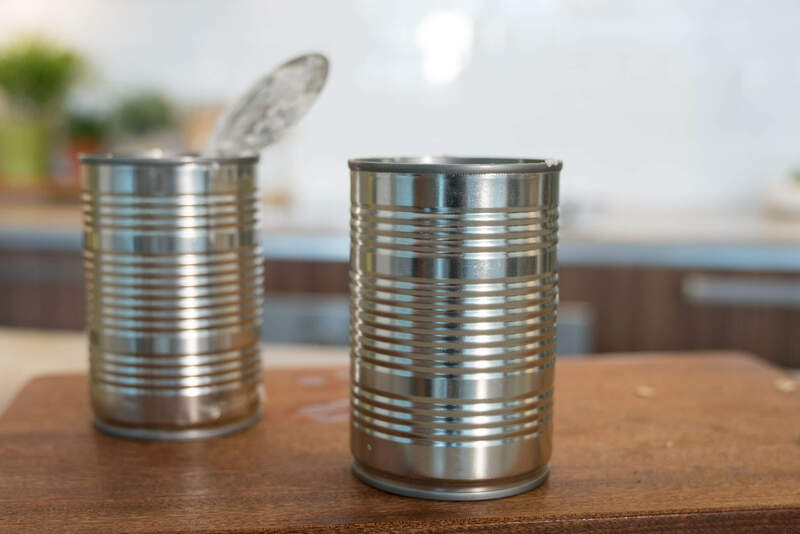 Recipe states to use 2 cans. Did it last night, I did refrigerate my can before but did not get much solid in the end... Decided to give it a try (1 can and 2 capsules), put it on the top of my fridge but this morning it was super runny! Maybe it's the brand I used... Yours looks so much better than mine! I put it in the fridge so Îll check how it looks when I come back home tonight! Hope it got a littlebit more creamy then... Oh well! It will likely get thicker once you put it in the fridge because of the good fat in the coconut milk. Either way, I hope it tastes wonderful! I made this last night and put it in the fridge in the morning. I am home from work and wanted to have some but it is really hard. It is not smooth like yogurt. Any thoughts on what I did wrong? Take it out of the fridge and let it thaw for a little bit. The coconut fat has probably just gotten too cold. Love this! I made it today with fresh, local strawberries and my own granola! BLISS! Hello, I tried making this and followed directions but I cut the recipe in half. I left it in the oven overnight and it came out looking oily and soupy. What did I do wrong? I would suggest adding some more of the coconut cream to thicken it up a bit. That might help. Also, when you put it in the fridge it should thicken a bit too. Made this and it was amazing - thank you! Sweetened it with vanilla. Might add a pinch of salt next time to bring out the sweetness. Wondering what the recommended serving size for this would be? Roughly? It is quite a bit richer than normal / greek yogurt (e.g. one cup serving size), so just wondering what you would recommend. Thank you! Can you use cans of organic coconut cream instead of the full fat coconut milk? This is awesome! Thanks Joy! I saw the video, and I really enjoyed it. I can't wait to try it! I was wondering if the granola recipe is somewhere I can find it? I definitely want to make my own, but I'm concerned about the cost of the ingredients. Hi there, Do you know the tsp equivalent of the capsules? I have probiotic powder at home that I'd like to use - I'm just not sure how much to put in! Thanks! Which recipe do u prefer? This one or the one you make on the instant pot? Hello, I left the cans of coconut milk in the fridge for several days and when I opened the first can, the milk was hard as a rock. Could I have left it in the fridge too long before trying to make it? Hi Joy! I bought the GH probiotics and just finished my first package of the 15 billion CFU. I didn't feel any difference while taking them. Is this normal, or should there be a noticeable difference in bloating, etc.? I'm on the fence about buying another package since I didn't feel any better while taking them. I have the Genuine Health 50 billion probiotics...should I use 4 for this recipe or perhaps less? Thank you! Hi Joy, I used organic coconut milk full cream and left it in the fridge overnight. However, the coconut milk wasn’t that thick like in your video, it was more creamy. Is that okay? Or should I leave it in fridge for a longer time maybe? Also, if I use to probiotics can my 13 month old have it as well? This is the easiest coconut milk yogurt recipe I have found. Could I use the Cultures for Health Vegan Yogurt Starter instead of the capsules? Also, could I incubate this in the Instant Pot on the yogurt setting? When I pulled mine out of the oven the next morning it was totally liquidy! Has this happened to anyone else before? Any tips?? Hi Joy. I’m new to your community and just found this great coconut yogurt recipe. I have fresh probiotics that I’d like to use up; any reason I can’t? Also, when I went to the Amazon link you provided, I saw that Genuine Health offers a 50 billion capsule. If I use that in the future, would I only have to use one capsule? Thanks for your reply! Sounds like a great recipe, I will try! But I don’t know if i’d consider inside of my oven warm... should I protest it a bit beforehand or keep the light on so it gets warm? Thanks! Hi. I have been looking for jars just like the straight sided mason looking jar in you video, the one you have your yogurt in. Can you tell what type it is? It looks like a perfect yogurt jar to bring on the go. Thanks so much! Wooow...thanks joy! 'Joyous you! :) I'm certainly going to make this recipe given the fact that i am not at peace with cow milk as i never touch it! .... Lotta hugs..i'll post pics when i do! Can’t wait to try it! My first batch was not successful ( probiotic was too old I believe) and found two YouTube clips that will steer me in the right direction. The other one uses the dull can vs. just the cream like you do so I’ll try both - I suspect yours will turn out more like Greek yogurt. Do no need for dehydrator or yogurt maker, huh? Guess that’s only for cows milk yogurt? Thanks! Hi Lynn, you're correct, you do not need a yogurt maker for this recipe! 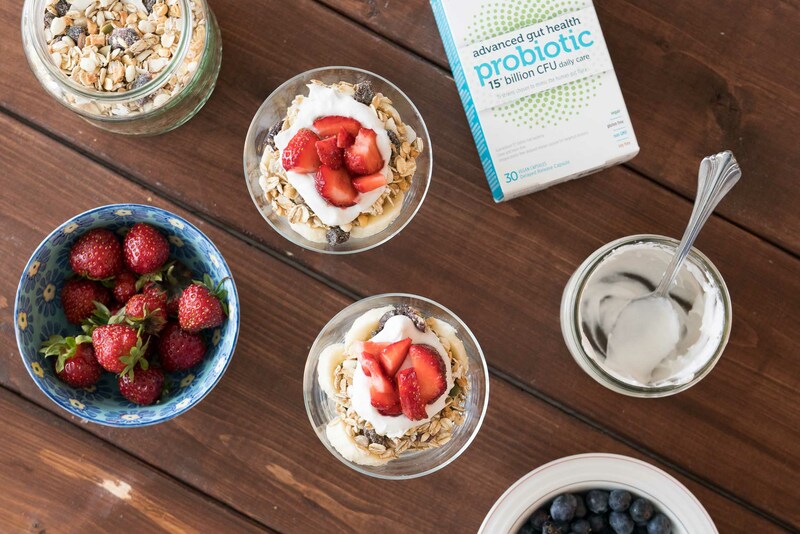 The probiotics do all the work for you. Hope it turns out delicious! If it's too thin, remember you can always strain it. Enjoy! Can I use yogurt in a carton instead of probiotic pills? You can try and see if it works! I made this and I tasted great. Put it in the fridge and now it's grainy like that fat curdled What did I do wrong? Mmm, that's tough to say what went wrong. Usually something will curdle when it's heated not when it's refrigerated so I'm not sure what to suggest here. Maybe you left it out to ferment too long? It could be that the fat globules have solidified in your fridge. Take it out 15-20 minutes before you're going to eat it and see if that makes a difference. Good luck! I only had one can and added a capsule of 60 Billion genuine health. Will that ruin it? I followed the steps, but I'm not sure if my batch came out right. I used Thai Cooking full fat coconut milk in a can, and after taking it out of the fridge, there was a hard shell of coconut oil on top that didn't appear on the video recipe. I think it hindered my recipe because instead of a creamy consistency, it is more curdle-y. I left the yogurt in the oven, covered with plastic wrap overnight, and the yogurt has a sulfur smell to it. I used the same probiotics as the recipe, so I think my coconut milk is the problem. What type of coconut milk are you using? I followed the steps to making coconut milk yogurt at home, but when I took it out of the oven, it was runny and - I think - separate... What do I do now??? I used Chas Organics full-fat coconut milk. Once you've refrigerated it, depending how much coconut fat vs water there is in the yogurt, it can get very hard in the fridge. You may need to let it sit on the counter a little to thaw. Hmmm, sulfur smell is usually like rotten eggs meaning something has gone off. Cheese smell on the other hand is a good thing! It's hard to say without sniffing it myself but it sounds like it's gone off. Was it in a really warm area? Thanks for replying! I don't think it was too warm. Just in the oven like you mentioned. It was placed in at 930pm and the oven was off since 5pm. Its a pretty strong smell 😆. Rotten egg smell. But it does taste great! And the colour is fine too. I did a bit of google research and it seems to be okay. It may have been the oven was too warm? I can't stomach the smell but do you think I could hide it in smoothies? If you don't mind the smell and it's not bothering you then I guess it's okay! Yes you could definitely hide it in smoothies. Clean from the dishwasher should be good enough. And yes, it would still work with 50 billion - it might actually ferment faster. Enjoy! Can you use an Instant Pot with this recipe? I don't have an instant pot so I'm not sure but if you make it please let me know! What do you mean by place it in the oven? Completely cooled down switched off oven? The oven should be OFF. It's just a warm place in most people's homes. 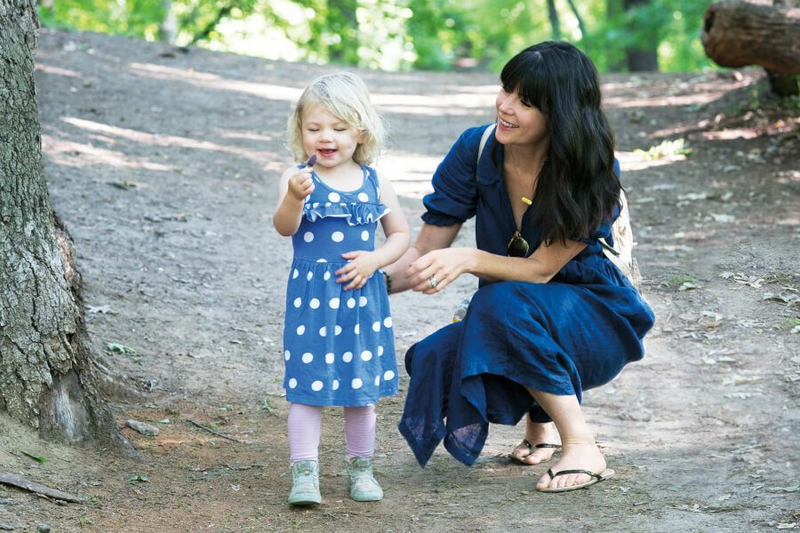 Yes probiotics are definitely good for little ones, big and small. It's hard to say, it really depends on the brand of coconut milk you're using. I still buy coconut yogurt for convenience and then skip a week buying it when I've made this delicious recip. How about if i cant buy probiotics..just want to eat it without probiotics...do the step change??? You'll need to add something to start the culturing process. You can use the juice from a jar of raw sauerkraut or kombucha. Hope that helps! Joy, when you say to put into an oven that is off; are you referring to a gas oven? An electric oven wouldn't be warm at all. Is there a min/ max temperature it should be in? I have an Instant Pot and make cows milk yogurt quite a bit but want to switch to healthier eating. The Instant Pot is 108 degrees on the yogurt setting. Is this a good temperature for coconut yogurt? I have an electric oven, which because it's like a little box is typically a little bit warmer than my home. So it's not "on" but it always feels a little warmer. 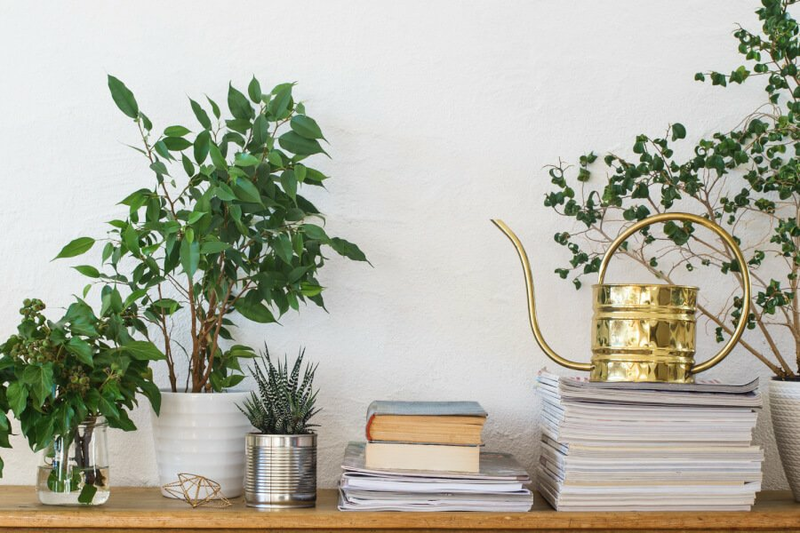 If however you live somewhere warm all year round then your countertop is probably fine. I'm not sure about an Instant Pot because I don't have one so I can't advise you, sorry. But my guess is you could follow the same instructions as cow's milk yogurt. Let me know how it goes! Hi Joy, Love your recipe! My coconut fat was sooo hard when I scooped it out after being in the fridge. The organic coconut milk I used had fat but it didn’t indicate if it was full fat. Has this ever happened to you? Thank you kindly. You mean after the yogurt was made? Yes this can happen. Just let it sit on your counter for about 5 minutes and it should melt enough to scoop. Enjoy! Made my first batch following your recipe, turned out great. Kind of difficult finding coconut milk at our local grocers, though. Went to an Asian market, wow, all kinds of coconut products. Bought some coconut cream, did not have to separate the cream off the top like in your recipe since it's all cream, made my second batch using the cream, let it sit in the over for 24 hours, not 12, came out even thicker more like Greek yogurt consistency. 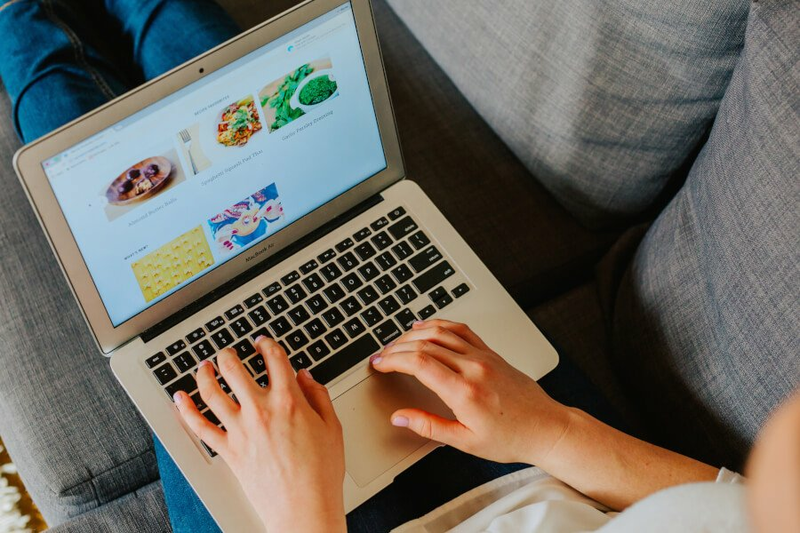 Search online for other recipes, most all say to let the yogurt ferment in mild heat like a yogurt maker, crockpot, etc. 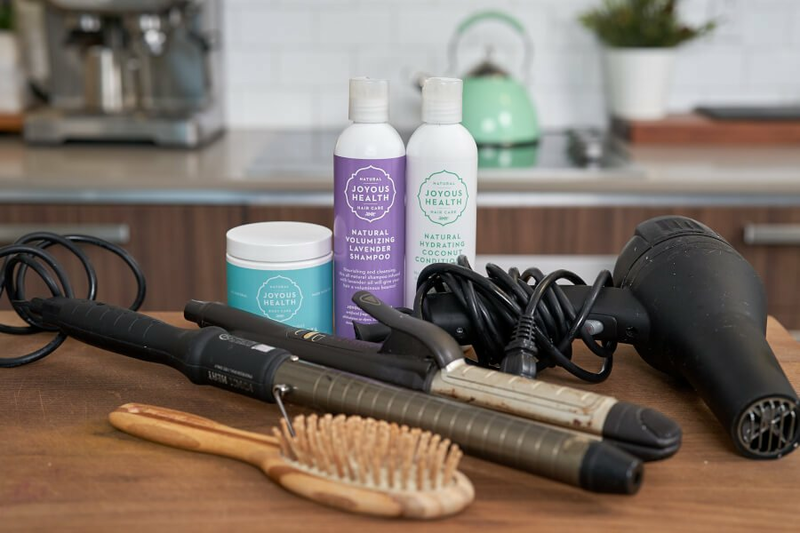 Have you tried the heat method? Also, one recipe called for a 1/4 teaspoon of sugar to aid the fermentation process. Your opinion on this? I haven't tried the heat method, only cause I wanted to keep it as easy as possible. However, it would probably ferment faster with a little heat. Yes you can add that but there are natural sugars in the coconut milk that will be food for the bacteria. I haven't found added sugar is at all necessary, so you can skip it. Oh wow, I must give this a try! Cheers! Hi Joy! I made your yogurt the other day but I must have done something very wrong because my yogurt turned super runny and gave me a tummy ache! K here's what I did. Hoping you can steer me straight. 2 cans of full fat coconut cream, scooped out cream and mixed in probiotic. I poured it into sterilized jars and placed in my yogurt maker (which is basically a warm plate with a lid that you set the jars in). The next day the thick cream turned super runny. Silly me ate it and well...things didn't turn out great for me. Where must I have gone wrong? Hi Lisa, sorry to hear it didn't turn out well and you had a tummy ache. I haven't made it in a yogurt maker before so I wonder if maybe it was too warm?? Hmm, not sure I can help you troubleshoot when it sounds like you did everything right. What brand of probiotics did you use? Hi Joy, I used the full fat ARoyD coconut cream and 4 scoops of Renew Life Flora Baby. 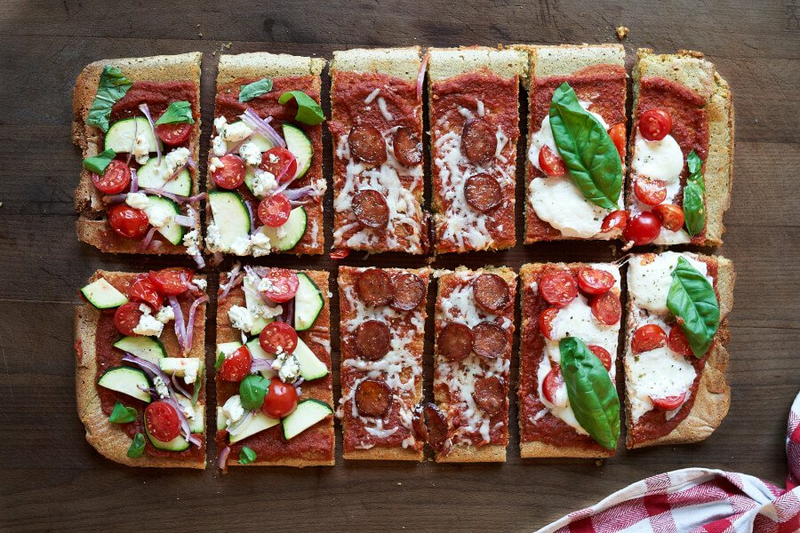 This is so easy and looks delicious. Do you happen to know what the nutritional value is for the yogurt in terms of fat, protein, calories and carbohydrates? Thanks. Hi Cathy, I do not sorry.